ONCHAN, Isle of Man – May 16, 2017 – The world’s largest online poker site PokerStars, an Amaya Inc. (Nasdaq: AYA; TSX: AYA) brand, today announced that it is working in conjunction with Genting Casinos UK, operators of 40 casinos nationwide, to provide an online qualification route for its popular Genting Poker Series (GPS). Working in conjunction with PokerStars, Genting plans to build on the momentum of its successful GPS with the launch of four PokerStars MEGASTACK events. 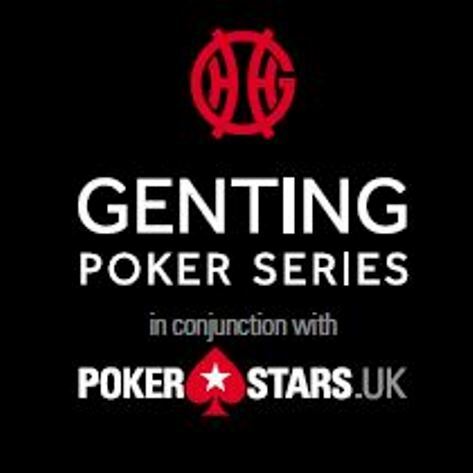 With a £170 entry fee and a guaranteed prize pool of £25,000 each, the PokerStars MEGASTACK events will complement Genting’s existing Mini and Main events, with £35,000 and £100,000 guarantees respectively. “We already have a successful poker tournament, but we’re keen to make sure that we keep things fresh and offer a variety of routes to play. The addition of the PokerStars online qualification route and MEGASTACK events will make sure that our players are constantly delighted with what Genting can offer,” added Proctor. Team PokerStars Pro Jake Cody, one of the UK’s most successful poker players and popular YouTube vlogger plans to attend many of these events. “I’m so excited that PokerStars has given players the opportunity to qualify online for the Genting Poker Series, it’s going to be awesome! It’s great to see two poker giants collaborate to put on the best events for players. I’m really looking forward to both the Genting Poker Series and PokerStars MEGASTACK events, I’ll see you at the tables!” Cody said. Genting UK plc, a wholly-owned subsidiary of Genting Malaysia, trades in the UK as Genting Casinos. It boasts 40 casinos across England and Scotland. The casinos outside London operate under the Genting Casinos brand. In London the group owns the oldest private members gaming club in the world, Crockfords, along with the Colony Club, Maxims, Palm Beach and Genting Casino Cromwell Mint and Genting Casino Chinatown London in close proximity. In January 2015 Genting proudly took over as lead sponsor of the Genting Arena at the NEC, visit www.GentingArena.co.uk. In October 2015, Genting UK opened Resorts World Birmingham, Europe's first leisure and entertainment resort featuring 50 outlet stores, 14 stylish bars and restaurants an 11-screen cinema, the Genting Hotel and Spa and the exhilarating International Casino. Find out more at www.resortsworldbirmingham.co.uk. Genting Malaysia is part of GentingBerhad which was founded in 1980 and is one of Malaysia's leading multinational corporations. The company has a market capitalisation of c£25 billion, with operations in the leisure & hospitality, power generation, oil palm plantation, property development, biotechnology and oil & gas sectors. The Genting Group has over 50 years of gaming experience running some of the most popular land-based casinos and resorts in Malaysia, Singapore, USA, the Bahamas, the Philippines and in the UK.